These fabulous bird party invitations are available in either a pack size of 20 or 25 invitations or else select the “1 invitation” option and add exactly what you need to your cart. Invitations come with coordinating envelopes. 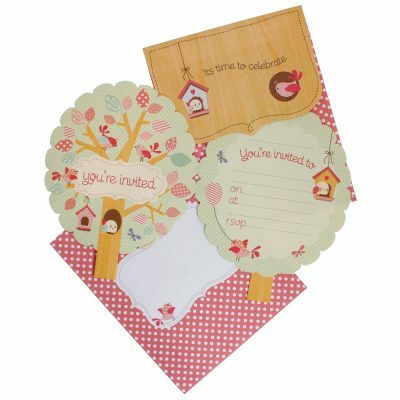 These gorgeous Invitations ~ Bird in pink and green feature the cutest tree house and are sure to please. 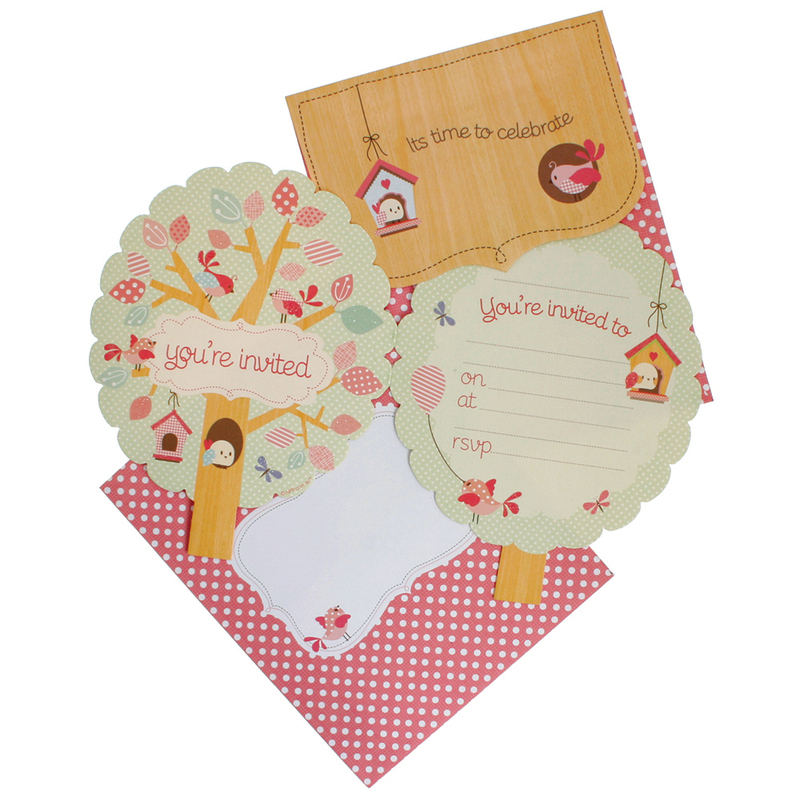 These invites are a great option for a bird or woodland inspired kids party. They are made from thick card and come complete with a very pretty coordinating envelope. Suitable for many girly themes and a really lovely option for a baby shower too. Pack size: Available in convenient pack sizes of 20 and 25 invitations or else purchase them singly so you can get exactly what you need.